Participants in the School of Nursing's recent trip to Haiti and their Haitian translators. Nearly 20 years ago, Molli Warunek traveled to Haiti as a nursing student to deliver needed medical care. Moved by what she encountered, she began to take part in mission trips around the world, often on her own. April marked Warunek’s 15th mission — a trip to where it all began in Haiti. However, this time, she was not alone. Now a clinical assistant professor in the UB School of Nursing, Warunek was accompanied by 10 UB nursing students on the school’s first humanitarian trip to the country. “The significance of the journey is incredible, as the students and providers learn to always have an endless amount of compassion for their patients, whether they are rich, poor, healthy or unhealthy,” says Warunek, who also serves as global initiatives coordinator for the School of Nursing. In partnership with the community organization Servants in Fellowship, the group of UB faculty and students, along with several Western New York physicians, pharmacists and health care professionals, served at a mobile medical clinic in Galette, Haiti, a rural settlement where access to care is difficult and poverty is commonplace. Within one week, from April 22-29, the team treated more than 800 patients ranging in age from 19 days old to 91 years old. Led by Warunek and Linda Paine Hughes, clinical assistant professor of nursing, the students and professionals traveled in caged trucks to the clinic each day where patients awaited their arrival. The group cleaned and dressed wounds; treated respiratory illnesses, burns and scabies; provided antibiotics and other medication; and administered fluoride varnish to 250 children. The students also provided hygiene education sustainable in Haitian culture to help prevent future illness. The mission was supported by a successful crowdfunding campaign that raised more than $5,000 from 66 donors. The funds helped purchase medical supplies, hire translators and support a small portion of student travel. In addition to exposing students to diverse cultures, the humanitarian trip helped raise awareness to the numerous health challenges faced by people around the world. “Thirteen years ago, I had the amazing chance to go on a mission trip with my church to Honduras, and to say it was an eye-opening experience is an understatement,” says Ashlei Brown, a nurse at Roswell Park Comprehensive Cancer Center and a School of Nursing alum who traveled with the team to Haiti. 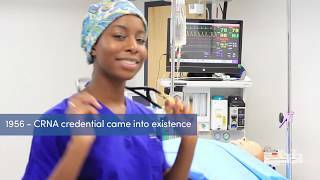 Her passion is echoed by her sister, UB nursing student Arielle Brown. Congratulations to this team of wonderful faculty, student and community volunteers who provided much needed care to the citizens of Haiti! You represent nursing and UB proudly as well as passionately!